Many preachers have confessed to this part that sometimes they can’t have their regular prayers. Many Christians struggle to start or continue with their regular prayer life. What really happens when you don’t spend time in prayer? Is it alright to skip prayers? 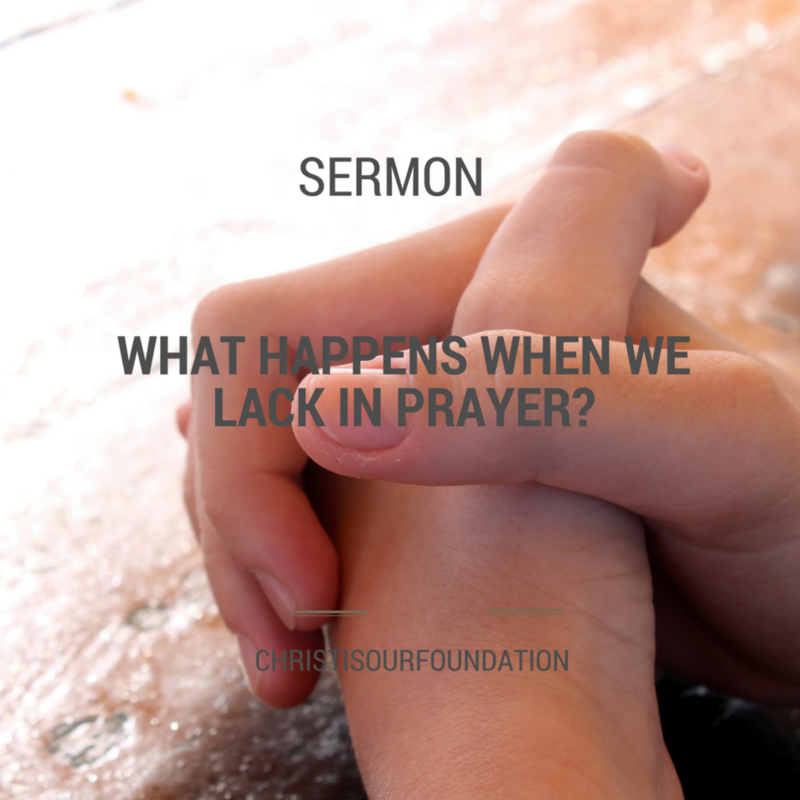 What does it show when we lack in prayers? When you don’t start your day with prayer, you are relying on your strength for that day to get things done. You fail to honor the commitment that you have with GOD. You are prone to fall into temptations. Slowly your subconscious starts dying out and you will become immune to the voice of God. Lack of prayer can weaken you spiritually and that will be clearly visible in your life. How can you restart your rusted prayer life? First thing in the morning, when you open your eyes, start with a word of thanks for adding another day to your life. Gradually, start spending more time with GOD. In today’s times, the first thing that most of you will check after opening your eyes would be the messages on your mobile. Let’s change that, start with thanksgiving and submit the rest of the day into the hands of God. When you start praying you kind of start establishing a connection with God which is a two-way relationship. Is it enough to just start the day with prayer? No, it’s not, end the day as well with prayer. Prayer shows a complete dependence on GOD. It shows the bond between a father and child. James clearly says in the word of GOD who and what to pray in the below verse. Is anyone among you suffering? He should pray. Is anyone cheerful? He should sing praises. Is anyone among you sick? He should call for the elders of the church, and they are to pray over him, anointing him with oil in the name of the Lord. The prayer of faith will save the sick person, and the Lord will raise him up; if he has committed sins, he will be forgiven. Therefore, confess your sins to one another and pray for one another, so that you may be healed. The prayer of a righteous person is very powerful in its effect (James 5:13-16). Pray for anything and everything, even when you don’t know to pray, close your eyes and listen to what your heart wants to speak. Even Paul says in 1 Thess 5:17, pray without ceasing. Most importantly, don’t just pray for yourself and your family but remember your fellow beings as well. May I but speak my own experience, and from that tell you the difficulty of praying to God as I ought; it is enough to make you . . . entertain strange thoughts of me. For, as for my heart, when I go to pray, I find it so reluctant to go to God, and when it is with him, so reluctant to stay with him, that many times I am forced in my prayers; first to beg God that he would take my heart, and set it on himself in Christ, and when it is there, that he would keep it there. In fact, many times I know not what to pray for, I am so blind, nor how to pray, I am so ignorant; only (blessed be grace) the Spirit helps our infirmities (Romans 8:26). Can we relate this to yourself? If you have identified this struggle within yourself it’s not yet late, go ahead and re-establish that relationship with GOD. You can also read this article which is about the conversation between the starving soul and the person. Many of us will be able to relate to this conversation.